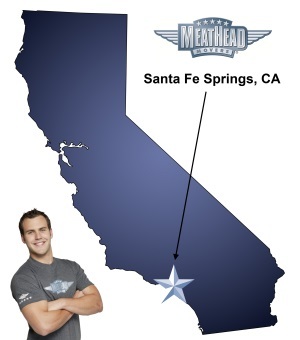 Meathead Movers of Santa Fe Springs - Santa Fe Springs Moving Co.
Moving to Santa Fe Springs? For a trouble-free move, count on our trusted Santa Fe Springs movers. Our professionally trained student-athlete movers are ready to get you into your new home. There is plenty going on in Santa Fe Springs, California, and a lot of it involves the light industry. The town was a major producer of west coast oil until the 1940s and continues to be a major force in American manufacturing. Both the U.S. Aerospace and Egge Machine Company are huge employers in the area, so you can rest assured knowing that there are plenty of great career opportunities. Whatever has brought you to the area, our Santa Fe Springs movers are standing by to make your move speedy and hassle-free. Life is good in Southern California, and for this reason, a lot of people are moving to Santa Fe Springs. If you’re thinking about relocating to this area, you’ll need a crew of enthusiastic Santa Fe Springs movers. We are Meathead Movers, and we’re ready to help you get your stuff where it needs to go safely and quickly. Our moving company specializes in local, long-distance, and commercial moves to, from, and within Santa Fe Springs. We also provide reliable packing, storage, on-site relocations, and our distinctive moving concierge service, which connects you with local service providers. There are other Santa Fe Springs movers, but none of the other guys do what we do. Our moving crews are always in motion. In fact, they even jog back to the truck to get the next load. Meathead Movers was founded by two teenage brothers in the late 1990s. Since that time, we’ve employed hundreds of student-athletes who work hard to pay their way through school. Of course, Meathead Movers are not only about rapid relocation. We train our guys to treat your household goods with respect. We’ll move your things quickly and carefully. There’s a lot to do when making a move. Meathead Movers is pleased to present a one-of-a-kind personal moving concierge service that’s sure to help you and your family settle into life in lovely Santa Fe Springs. Your Meathead Movers concierge will be able to answer any questions you may have about housekeeping companies, babysitters, utility companies, and the local school district. Need a landscaper, carpenter, or home handyman? Your Meathead Movers concierge is a reliable source of information and is included free with every move. This is a great time to think about moving to Santa Fe Springs and we’re here to assist along every step of the way. If you need help getting ready, our Princess Packing service can come to your location and pack your things. We are the Santa Fe Springs movers who can streamline the moving process in remarkable ways. When you’re ready for a free no-obligation moving quote contact us via this website or give us a call at (866) 843-6328. Moving to Santa Fe Springs? Here are some helpful resources. Moving from Santa Fe Springs? View more Santa Fe Springs resources. Jacob Sanchez and Eduardo Guerrero were awesome! Professional, quick, friendly, helpful and did everything with a great attitude.